"[She was] a person who stood with me during the hardest moment in my life. It's true that I lowered my guard and my sense of wariness." 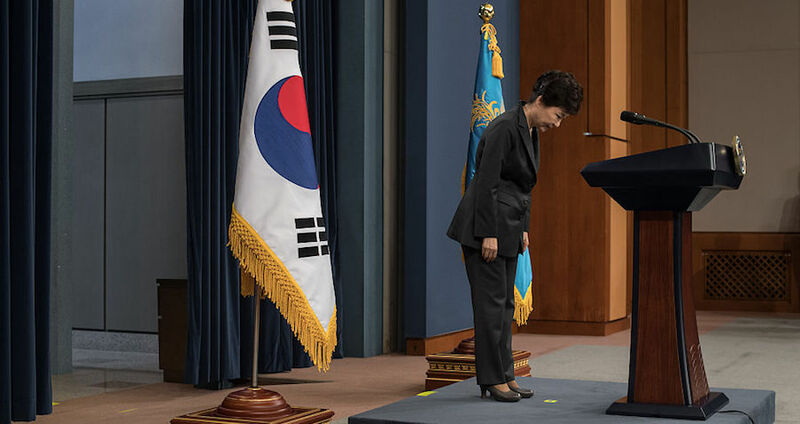 ED JONES/AFP/Getty ImagesSouth Korea’s President Park Geun-Hye bows prior to delivering an address to the nation at the presidential Blue House in Seoul on November 4, 2016. After allegations recently surfaced that she was a puppet for a religious cult, the approval rating for South Korean President Park Geun-hye fell to an unprecedented five percent, the lowest in the country’s 68-year history. 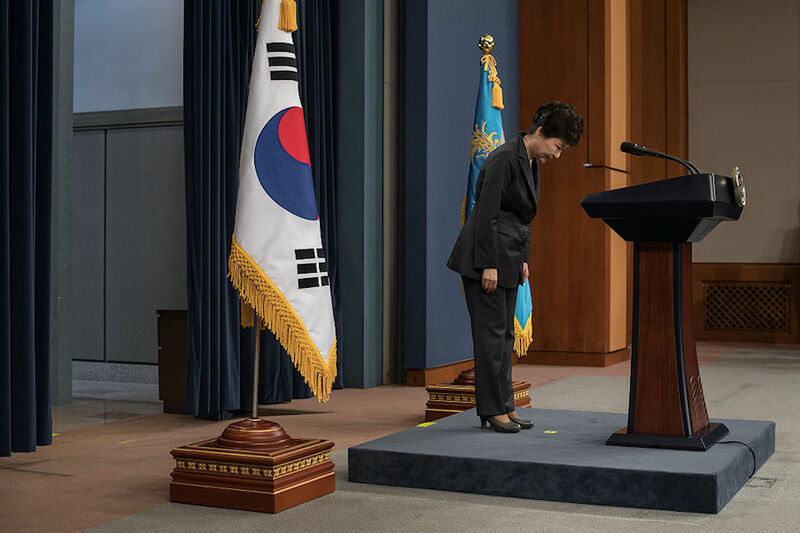 Now, Park has accepted sole blame for the “heartbreaking” scandal, her voice shaking as she delivered a televised public apology to the Korean people on Friday. “I feel a huge responsibility deep in my heart. It is all my fault and mistake,” Park said. At the core of this scandal lies the allegation that Park allowed a confidante with ties to a religious cult to manipulate her. The confidante in question, Choi Soon-sil, is a longtime friend of Park’s and the daughter of the cult leader who had been Park’s mentor before his 1994 death, according to South Korean media reports. Park’s troubles began after a South Korean TV network obtained Choi’s personal computer and found 44 files relating to the presidency, including speech drafts and Cabinet meeting remarks. Choi had highlighted the files in a way suggesting that she had been editing them. Furthermore, Al Jazeera reports that Park discussed and sought government policy advice from Choi as well. In addition, reports also state that Choi used her connections to Park to wrangle Samsung and Hyundai into donating $70 million to two non-profit foundations that she’d set up. Choi herself is already in prison for her part in making recommendations on government policy papers, choosing Park’s presidential aides, and even helping Park pick her wardrobe choices. Thus far, Choi is the only participant in this scandal that has been arrested, although Park has fired eight presidential aides and nominated three new cabinet officials, including a new prime minister. Park’s new choice for prime minister, Kim Byong-joon, said he thinks it’s possible to have Park investigated despite her office’s legal immunity, although the procedures and methods must be carefully handled. The political opposition in South Korea have said that if Park doesn’t accept the prime minster chosen by the parliament — and withdraw completely from domestic affairs — they will immediately push for her departure. Next, check out the differences between North and South Korea at night, before looking at how stunning South Korean nature can be.